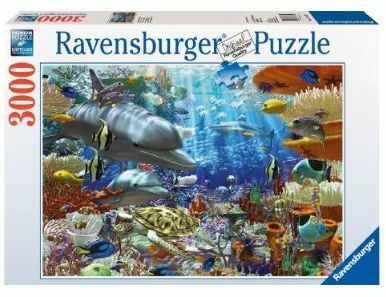 A Ravensburger Jigsaw would make a great gift for someone close to you, or even for anyone you know that loves doing jigsaws puzzles. There has got to be no-one on this planet who does not know what is jigsaw puzzle is, considering they are made for even the very youngest amongst us. I hate when I buy a jigsaw puzzle where the cardboard has been badly cut so that the blocks tear when you try to separate the pieces, or when they pieces are cut in such odd shapes that they are almost impossible to it together. Ravensburger Jigsaws are top class. Solid pieces that fit together well, so well in fact that the finished picture can be framed and wall-mounted. 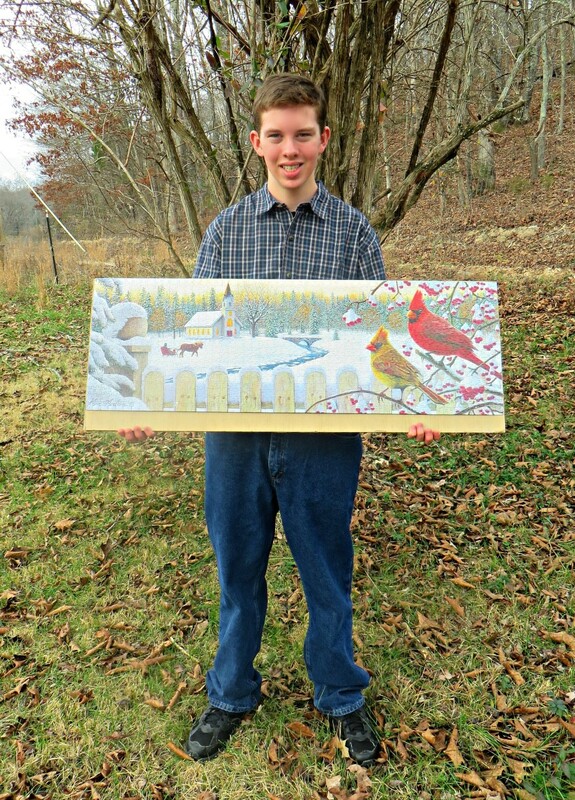 They have a great selection of pictures that when put together make a really attractive addition to many homes. 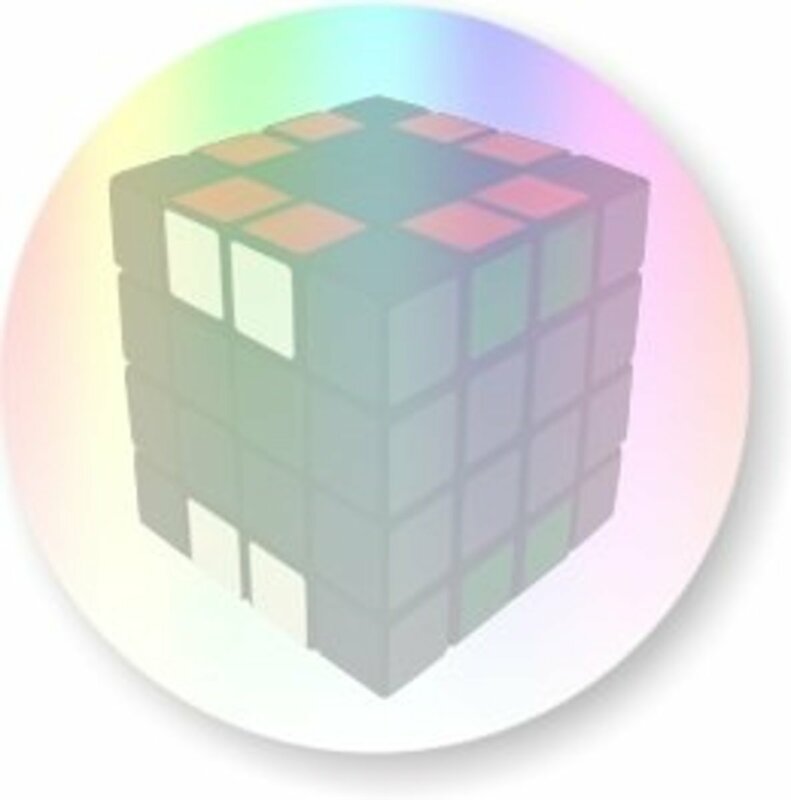 The skill level required to fit a Ravensburger Jigsaw together varies on size, color and aptitude of hand and eye co-ordination of the user. Jigsaw puzzles are a great way to help your child learn not only texture, but shapes, colors and boosts that part of the brain used for making a picture whole. Jigsaw puzzles bring pleasure throughout our lifetime. We are never too old to put a jigsaw back together again and they bring hours of pleasure to the whole family. Once your child can master a 24 piece puzzle, and Ravensburger make their jigsaw puzzles for little hands with bigger pieces that are thicker than normal and difficult to break, there are a range of slightly bigger jigsaws for them to tackle. 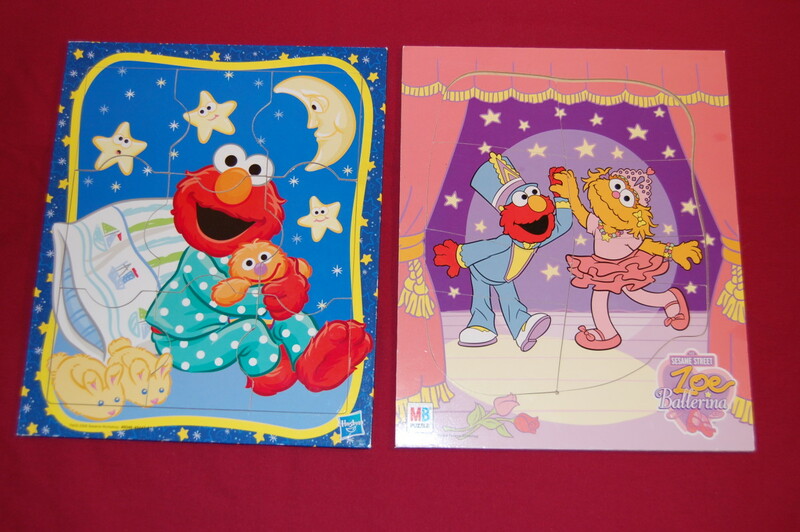 Children (and adults ) love doing jigsaw puzzles, so its great that there are such a wide range of them available. Recommended for slightly older children again - age 6+. The individual blocks are still of a sturdy cronstruction and the pictures are slightly more complicated, but still of interest to a child. Jigsaws are great way for them to learn about the world and things in it, and Ravensburger tries to incorporate learning features into their puzzles as well as make them visually attractive to the child. 100 piece jigsaw for age 6+. Click through to Amazon for greater choice. Ravensburger Jigsaws are great for all the family, even grandma loves doing jigsaw puzzles. All you really need is a flat board or table to start one off on, and you can come back to it time and again until it is completed. I was always taught to start with the outside edges and corners first. Once you have them in place it is much easier to see the start of the whole picture that you have to fill in. If you have space, it is a good idea to turn all your pieces over so that you can see the picture on them. This keep the pieces in better condition than if you were continually picking them up to examine them and putting them down again. 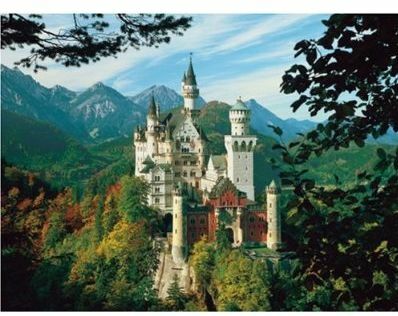 Let's have a look at what is available from German world class jigsaw puzzle makers, Ravensburger. The Ravensburger Oceanic Wonders Puzzle makes a beautiful and interesting picture. Enlist the whole family on a rainy day to complete this one. The finished result makes a picture that can be glued and framed, but I prefer breaking jigsaws up to complete again another day. Generally the more number of pieces that make a jigsaw, the more difficult it becomes. At 3000 pieces, this jigsaw is for older members of the family, although younger ones may enjoy joining in with supervision. The Ravensburger Neuschwanstein Castle Puzzle is a beauty! What a lovely picture this makes, and what fun you could have putting it all together. I can already see quite a few pieces that will have you tearing your hair out - along the sky and among the leaves of the tree. This jigsaw will keep you occupied for hours! 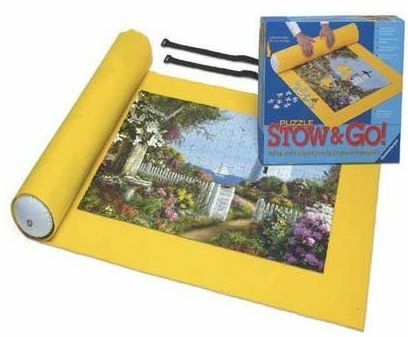 The Ravensburger Stow & Go - Puzzle Accessories is a brilliant idea. You just start doing your jigsaw puzzle on the felt matt, and if you have to go somewhere, you can just roll it up and inflate the tube and it is all kept the way you left it. Great when you are doing jigsaw puzzles on vacation with the family, or wasting time in the office when you should be working! 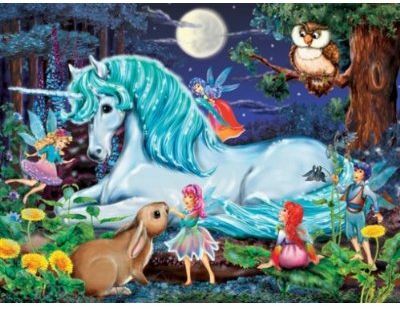 The Ravensburger Enchanted Forest Puzzle is one for 6 year old plus children, and what a lovely way to teach them about the unicorn and its magical environment. 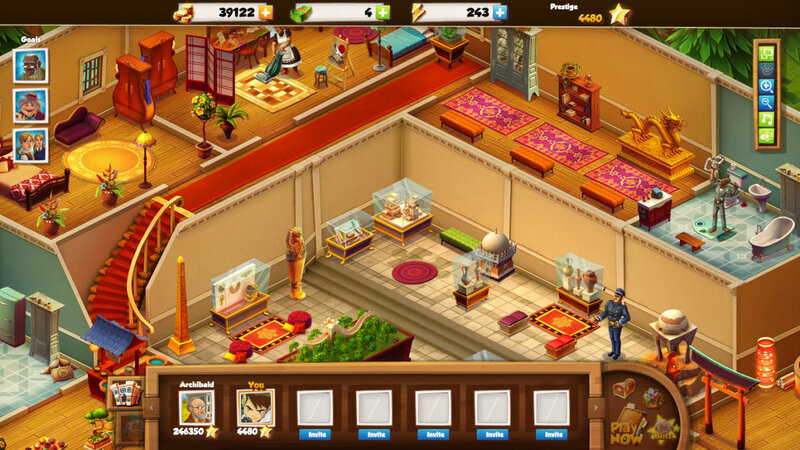 Bring mythology to life for your child. Let them believe in pretty fairies and other good creatures from fairy tales. Teach them the shape and form of these creatures in a way no toy can do, by putting the pieces together in a jigsaw puzzle they learn so much more. 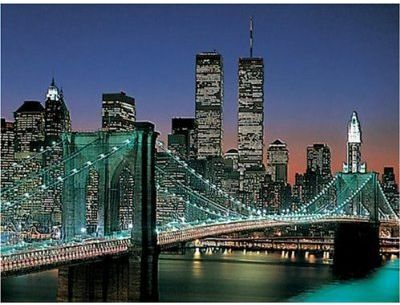 The Ravensburger NYC - Brooklyn Bridge Puzzle is a big puzzle and by the looks of it, quite a difficult one to do. I would imagine that such an expanse of pure blue sky in going to be extremely difficult, and the grey squares of the buildings too will cause a few headaches. 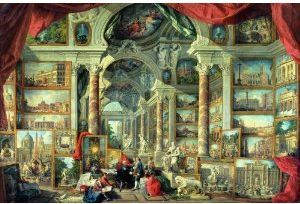 However, this is a fabulous picture which would look great hanging on the wall, and having the satisfaction of knowing that you completed it would be tremendous. I would recommend this jigsaw for teenagers and above. 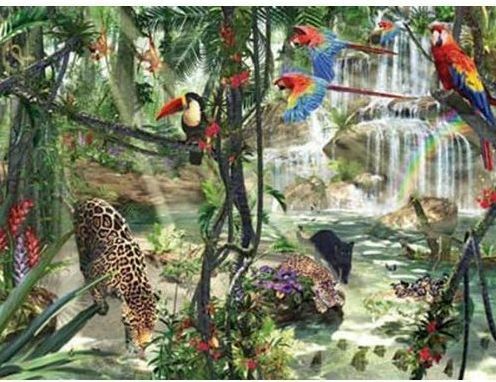 The Ravensburger Tropical Puzzle is an difficult level one. This is my type of jigsaw! I would love to be doing any of the bigger ones listed on this page! A great way to spend a rainy day or to keep an old brain active. Buy Grandma this one as a gift. 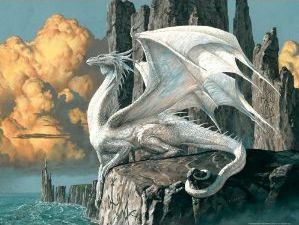 The Ravensburger Dragon - 1000 piece jigsaw puzzle is simply stunning! Who wouldn't want an opportunity to complete this beautiful picture of such an amazing mythological creature? As this would be a great gift to receive, rest assured knowing it would also make a great gift to give to someone else. 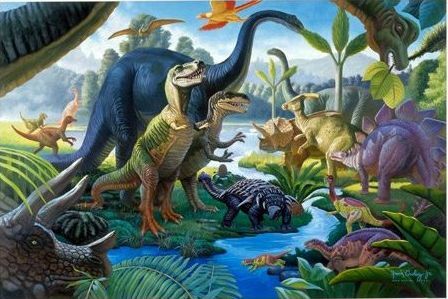 The Ravensburger Land of The Giants - 100 Piece Puzzle is a great way to teach you child about the era of the dinosaurs which, unlike the creatures above, weren't mythical. This is your chance to explain to your child how thy once roamed the Earth and that scientists know about this because their fossilised bones have been found. This is a great way of introducing your child to what is likely to be a whole new science for him as he may well want to know how scientists knew what dinosaurs looked like if all they had were bones. This is great learning opportunity for all the family (and it make an interesting picture too). The Ravensburger Views of Modern Rome - 5000 Piece Puzzle is for the serious player! 5000 piece makes this a pretty big jigsaw puzzle. It also looks to me to be extremely difficult to do, owing the wealth of small details in the picture. For serious jigsaw puzzle fans, this one is a must! 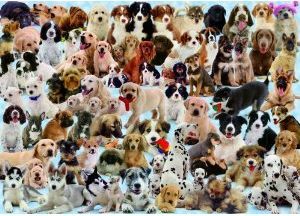 The Ravensburger Dogs Galore - 1000 Piece Puzzle is again on the difficult level, but what a great way for your child to learn about al the different breeds of dogs available. The photograph here is not as clear as the actual jigsaw's picture, but I can imagine this will be lot of fun to do, especially if you know the name of the breeds. A must for dog lovers everywhere! They'd make great stocking fillers at Christmas too! 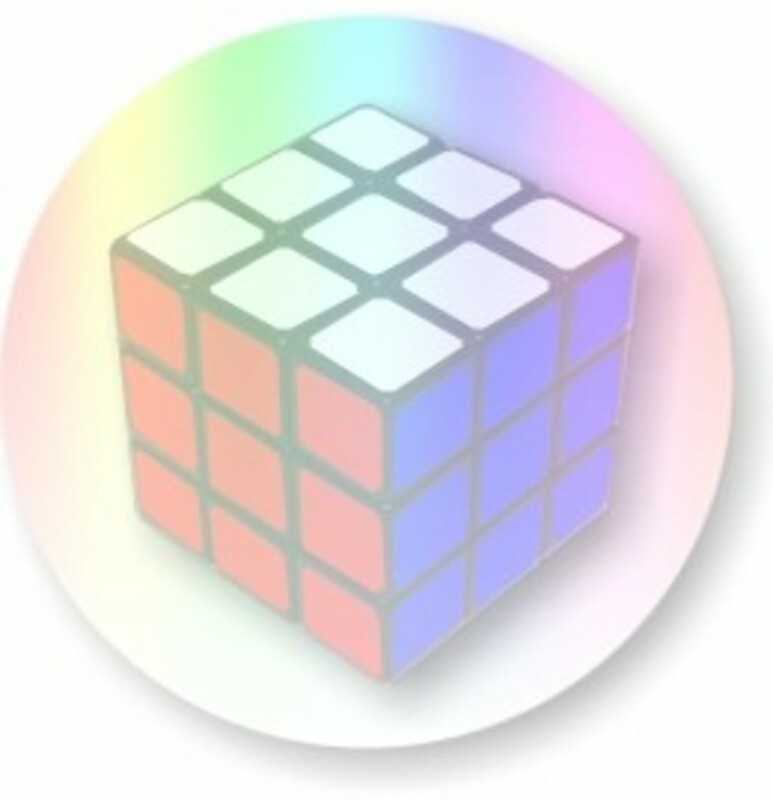 These are the best puzzles you can buy in my mind, great selection. I love puzzles. This is a beautiful selection. Too true! Kids in a toystore are a nightmare! "I waaant...!" Ravensburger Jigsaw puzzles are the name for clever classy puzzles. A great thought to buy them online - keeps the kids out of the toy store too! 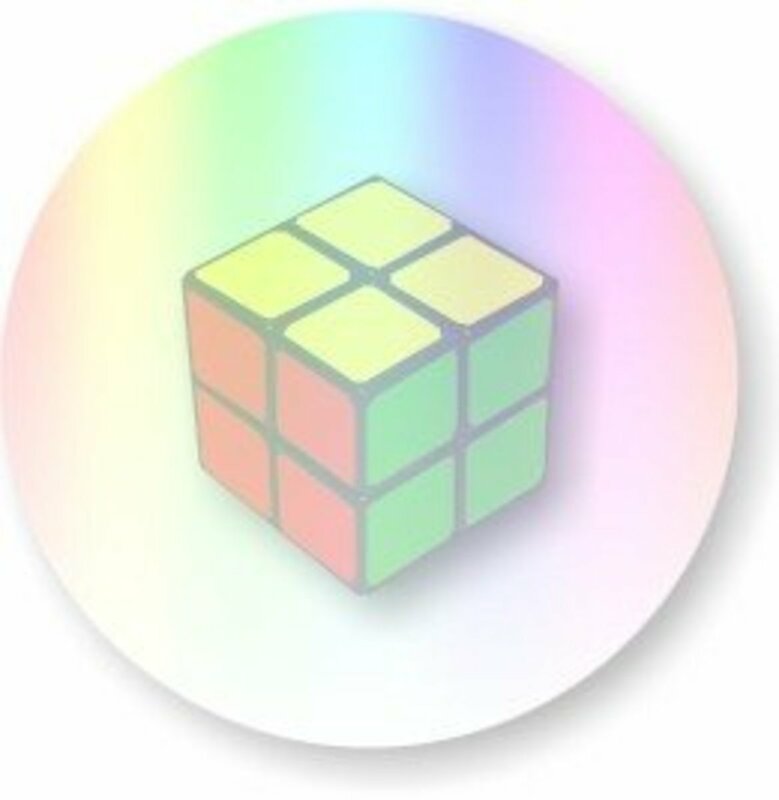 There certainly are some rich in color puzzles available for the children we buy Christmas gifts for. I need to keep this in mind as i begin buying for Christmas!